I am a doctor and director of the smallest public sector hospital in Singapore, the National Neuroscience Institute (NNI). I have 300 staff, of whom 100 are doctors. I emphasise to my doctors that they must do their best for every patient regardless of paying status. I also appraise my doctors on how well they care for our patients, not by how much money they bring in for NNI. My doctors know I have friends who are likely to come in as subsidised patients. I warn them that if I find them not treating any subsidised patient well, their appraisal - and hence bonus and annual salary increments - would be negatively affected. My doctors know I will do as I say. I remind them that the purpose of our existence and the measure of our success is how well we care for all our patients - and that this is the morally correct way to behave and should be the reason why we are doctors. In NNI, almost all patients are given the best possible treatment regardless of their paying status. My preference for egalitarianism extends to how I interact with my staff. I am director because the organisation needs a reporting structure. But my staff are encouraged to speak out when they disagree with me. This tends to be a rarity in several institutions in Singapore. The fear that one's career path may be negatively affected is what prevents many people from speaking out. This reflects poorly on leadership. In many organisations, superiors do not like to be contradicted by those who work under them. Intellectual arrogance is a deplorable attitude. 'Listen to others, even the dull and ignorant; they too have their story,' the Desiderata tells us. It is advice we should all heed - especially leaders, especially doctors. I speak out when I see something wrong that no one appears to be trying to correct. Not infrequently, I try to right the wrong. In doing so, I have stepped on the sensitive toes of quite a few members of the establishment. As a result, I have been labelled 'anti-establishment'. Less kind comments include: 'She dares to do so because she has a godfather'. I am indifferent to these untrue criticisms; I report to my conscience; and I would not be able to face myself if I knew that there was a wrong that I could have righted but failed to do so. I have no protective godfather. My father, Minister Mentor Lee Kuan Yew, would not interfere with any disciplinary measures that might be meted out to me. And I am not anti-establishment. I am proud of what Singapore has achieved. But I am not a mouthpiece of the government. I am capable of independent thought and I can view problems or issues from a perspective that others may have overlooked. It would be better for Singapore's medical fraternity if the young can feel this way about all of us in positions of authority. After the Sars epidemic in 2003, the Government began to transform Singapore into a vibrant city with arts and cultural festivals, and soon, integrated resorts and night F1. But can we claim to be a civilised first world country if we do not treat all members of our society with equal care and dignity? There are other first world countries where the disparity between the different socio- economic classes is much more extreme and social snobbery is even worse than in Singapore. But that is no excuse for Singaporeans not to try harder to treat each other with dignity and care. After all, both the Bible and Confucius tell us not to treat others in a way that we ourselves would not want to be treated. That is a moral precept that many societies accept in theory, but do not carry out in practice. I wish Singapore could be an exception in this as it has been in many other areas where we have surprised others with our success. The writer is director of the National Neuroscience Institute. Think-Tank is a weekly column rotated among eight heads of research and tertiary institutions. I read the above article with interest as I pondered over the ideas championed by the writer. Interest, based not just on the content material, but also because she wrote knowing who she is and the weight of her words. I admire her altruistic care for patients that cross her path, paying homage to the Hippocratic Oath. I love the way she so succintly penned down her beliefs and in such a diplomatic yet strong stroke of the pen. She might have said that she obeys only her conscience and indeed, she has been an example of overcoming set traditions to practise what she preaches. While it may not be that she is using her name to make a statement, yet I wonder....the other way round.....if she is not who she is by way of parentage, would she have been allowed to have her way of things? The school called up to inform that Big Buddy was involved in a fight with his friend. His first school fight! Everyone was in class, working at the table on the worksheets Teacher set for them. Big Buddy looked at J's work and commented that it was "Not nice!". J got upset and threw Big Buddy's worksheet onto the floor, Big Buddy retaliated by crushing J's worksheet and that started the fight. Teacher had to intervene to separate both boys and make each apologise to each other. Big Buddy received a tiny scratch on his nose. When Big Buddy came home, I asked him why he told J that his drawing was not nice. "It's really not nice what!" was his reply with a frown on his face. Well, I give him credit for his honesty but err....zero for his sensitivity. Using simple language and plenty of examples, I explained to him about loving and being nice to his friends and how exercising sensitivity is one aspect of respecting our friends. Big Buddy looked at him with a serious look as he digested all that I said but seriously, I do not really know if he fully understood it all. Anyway, he is just a 3-year-old boy, some concepts may just take more time to be grasped. In fact, looking around, some adults do not seem to have learnt this lesson yet too. After a bout of illness, I had been away from the gym since April. No justifiable reason for the long absence, just pure laziness. Somehow the longer you stay away, the harder it is to get back. I am not giving excuses but hey, I am sure you experienced it yourself, have you not? Well, something someone said recently jolted me into action and so I went back to my gym workouts this week. This time round, I included additional routines into the sessions - leg raises and time on the exercise bikes. Cycling on this exercise bike is quite therapeutic. I was actually contemplating bringing a book to read while peddling away on this machine. 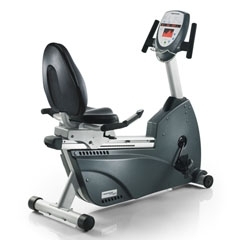 However, my favourite piece of gym equipment is still the elliptical. I love the jaunty wide-ranging movements and when the right workout music comes on, I caught myself almost dancing away on it! As my birthday rolls round once again, I seem to be in a more reflective mood this year. I ponder over the past years of my life and wonder what the future beholds. I savour my past achievements with a mixture of pride and nostalgia, and wonder what new milestone has my name on it. I look at my children and see my future in theirs too. Over the years, I have mellowed down a lot. I see my character refined with each significant event, my maturity developed with each situation I encountered and my perspective of life moulded by the experiences I had been through. I am now more introspective, valuing quiet moments over boisterous partying, treasuring a few good friends rather than a sea of acquaintances. Last weekend's sermon touched on God's covenant and anointing for a new season. How apt it was for this phase of my life. I felt that for the past few years, I have been in a phrase of repose. Whereas over the past few months, I have sensed that I am on the brink of something big and about to ride on the crest of the next big wave. Oh Lord, bless me and lead me. Bring me into the next chapter of my life.